May | 2014 | Careerschap | The musings of a careers professional in the higher education sector. Britpop: Career identity, transitions and non-linear thinking. It’s been as near as dammit 20 years since the rise of Britpop swept all before it and launched itself onto a grateful and well received world (ok, you can tell I’m nostalgic). So in wanting to mark this milestone I thought why not blog about it! I’m not doubting my initial curiosity in this genre may well have been due to timing and the fact I had started going out to bars and clubs with friends and this stuff was being played. So rather than go all NME and pretentious and critique why I listened to this music so much – we called it Indie by the way not Britpop – let’s just leave it simple. I loved it because the bands were cool, the music sounded original (I know, I know) and it all seemed so relevant and terribly important. It was as much about defining my own identity and projecting it as it was about enjoying the music. It felt like being part of a club or tribe much the in the same way as football supporters follow “their” team. N.B. anyone who says they follow two club teams, is not a “proper” football supporter as this is sacrilege and widely frowned upon in the football supporting fraternity; take note. So stumbling, as you do, through the social media quagmire I happened upon an article written by Mark Nicholls on the rocksucker website called “Britpop: Who are they now” (interesting it was who rather than where). Where – or who in this case – are they now articles spring up all the time across various media channels and can be fascinating, uplifting and depressing in equal measure. Let me explain. Pro footballer retires from the game and ends up in a downward spiral of substance misuse becoming a shadow of their former self. That’s depressing. Pro footballer retires from the game, becomes a coach and leads his (or her) boyhood/girlhood team to glory in the FA cup. That’s uplifting. The article mentions all bands I used to like, even to some slight embarrassment Menswear. Here is a brief synopsis of the person, band and what they are doing now. There really are some surprises. Now. Successful entrepreneur, with a mobile pub quiz app called SpeedQuizzing. Then. Debbie Smith, Echobelly guitarist. Now.DJ and also works in a record shop. Then. Mat Osman, bassist with Suede. Now. Still a bassist with Suede but also writes for established UK newspapers and is is the London editor of the email magazine le cool. Then. Johnny Dean, singer, Menswear. Now. Rumoured to work in a mobile phone shop but nobody knows for sure. Probably my favourite is Alex James the bassist from Blur. Then. The bassist from Blur. Now. A real portfolio career. The bassist from Blur, journalist and tv presenter and award winning artisan cheese maker. 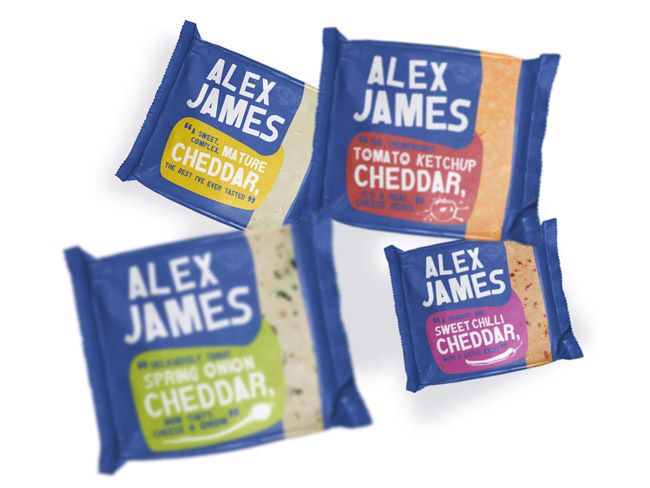 (you could argue Blur were making cheese long before Alex started down this path). So we have some uplifting (Internationally acclaimed artist), some depressing (Johnny Dean, phone shop worker?) and some fascinating (Alex James, journalist and tv presenter and award winning artisan cheese maker). The labels we give to ourselves and are given by others all form part of our identity and shape how our career may develop as well as how we manage the transitions we then encounter. So rather than write about identity and transition, when David Winter does a far better job than I could do in his brilliant blog I thought I would focus on one key point. Linearity. Many (not all) of the students I see often view career as sequential very often leading towards a singular goal. So for example, school, college, uni, graduate job. Of course this also links to some of the metaphors we use such as “ladder” when discussing our career. I think when I was younger I used to view career in the same way. Bill Law might suggest this was as a result of community interaction (my parents influence) and he may be correct. But more and more theoretical evidence suggests that careers are and should be viewed in non-linear and less predictable ways. From the textbooks think happenstance, chaos, portfolio and boundary-less careers to name a few. Some of this change is environmental in the way that the labour market is shifting and will continue to shift in new directions (I blogged about that here) but some of this must also be due to the social cognitive process of how we view career and what we think it should hold for each of us. Thinking and acting in more non-linear terms can help each of us in navigating our career and manage change. I do worry how much linear thinking is challenged in schools and college in today’s educational system. A large part of higher education and my role is helping students become prepared for the unexpected and not to try and exert and expect total control over their career. There are too many variables. So going back to my much loved indie movement of twenty years ago and the career transitions that have taken place of its protagonists it is a gentle reminder of how both non-linear and divergent life really is. You know what I really quite like it like that. Six Ted Talks every careers professional should view and why. Six I hear you say! Why not 4 or 5 or 10? It all seems rather arbitrary. Well you would be right, it is. Or is it? I really should have compiled a “Ten Ted Talks every careers professional should view” as according to various articles I’ve seen on the web like this one all lists tend to be zero dominated. i.e people naturally round up numbers. According to Google, it so happens that numbers ending in five are the next most prevalent. So I’m consciously going against the grain and human psychology with the number six. I don’t profess to have seen all or even most Ted talks (there are over 1700 of them). In fact, I’ve only seen a very small proportion against the overall total. But here are six talks I have seen that I believe relate to my work and why they were thought provoking. So in no particular order, apart from starting with my favourite, here they are. How schools kill creativity. TED2006 · 19:24 · Filmed Feb 2006. Sir Ken Robinson makes an entertaining and profoundly moving case for creating an education system that nurtures (rather than undermines) creativity. Comment: It’s hard to argue against the view that education very often kills creativity. Then there is the media hyperbole about “Mickey Mouse” degrees which encapsulates the view of “meeting the needs of industrialism” as Ken puts it. Have a look at the Key Stage 4 curriculum in schools and note the core and optional subjects. Depressing isn’t it. Or think about the numerous “funny children’s answers in tests” articles that float around the web like this. There are some genuinely creative and original answers in there but the system dictates a big red cross. Careers professionals need to be wary when helping students select course options at whatever level. How do we help individuals discover their talent? What will future jobs look like? TED2013 · 14:15 · Filmed Feb 2013 Economist Andrew McAfee suggests that, yes, probably, droids will take our jobs — or at least the kinds of jobs we know now. In this far-seeing talk, he thinks through what future jobs might look like, and how to educate coming generations to hold them. Comment: We cannot deny technological progress and its impact on the work environment and world economy. Automation means low skilled jobs are in continued decline. We need to encourage the Bills to aspire to be Teds and open their eyes to the new world order. Funnily enough, creative industries will flourish, perhaps Ken Robinson is onto something. In my blog post “The Future of Work” the report I mentioned talks frequently about economies being dependent on highly skilled and adaptive workers to thrive and succeed. We need to encourage non-linear thinking and risk taking in order to help prepare people for the future. Keep your goals to yourself TEDGlobal 2010 · 3:15 · Filmed Jul 2010. After hitting on a brilliant new life plan, our first instinct is to tell someone, but Derek Sivers says it’s better to keep goals secret. He presents research stretching as far back as the 1920s to show why people who talk about their ambitions may be less likely to achieve them. Comment: Goal setting and action planning is a core component of career management and those using coaching models will see visualising goals as a fundamental exercise for their clients. So is verbalising those crucial goals counter productive? It seems like there is some evidence. It seems counter-intuitive but at the same time does it mean we get clients to think about their career goals without actually saying them? The art of choosing. TEDGlobal 2010 · 24:08 · Filmed Jul 2010 Sheena Iyengar studies how we make choices — and how we feel about the choices we make. At TEDGlobal, she talks about both trivial choices (Coke v. Pepsi) and profound ones, and shares her groundbreaking research that has uncovered some surprising attitudes about our decisions. Comment: We are indoctrinated on choice assumptions. However, our perceptions of choice are not universal. We all need new perspective on our own narratives of the choices we have made and the choices and decisions we will make in the future. We don’t all see choice in the same places or to the same perspective. Careers professionals have a duty to understand their own choice assumptions as well as help clients unpick the choices in front of them. The puzzle of motivation TEDGlobal 2009 · 18:36 · Filmed Jul 2009. Career analyst Dan Pink examines the puzzle of motivation, starting with a fact that social scientists know but most managers don’t: Traditional rewards aren’t always as effective as we think. Listen for illuminating stories — and maybe, a way forward. Comment: Extrinsic reward isn’t effective for the right brain creative process. Performance pay works for mechanical tasks but not higher functions. Businesses need to tap into intrinsic motivations to get the most from employees. Autonomy produces creativity. The video mentions the great example of Encarta v Wikipedia typifying each approach. We know how that worked out, right! In guidance how far do we talk about organisational culture that fosters autonomy, mastery and purpose versus the carrot and stick approach? This needs to feature in our career decision making in terms of the types of places we wish to work. We need to help clients answer, how would I like to be motivated and why? More interesting is that this feeds back to what Ken Robinson says about creativity. In the western world we seem to do our level best to kill it. Incentivise through pay (carrot) and punish mistakes (stick). Yet our place in the technological future requires creativity. Success, failure and the drive to keep creating, TED2014 · 7:18 · Filmed Mar 2014. Elizabeth Gilbert was once an “unpublished diner waitress,” devastated by rejection letters. And yet, in the wake of the success of ‘Eat, Pray, Love,’ she found herself identifying strongly with her former self. With beautiful insight, Gilbert reflects on why success can be as disorienting as failure and offers a simple — though hard — way to carry on, regardless of outcomes. Comment: I’ve written before about the roles of persistence and resilience and there place in your career. I also believe failure plays a crucial role as a precursor to any success. So these are the themes I find myself writing about as education and work strive to eliminate failure. I like this video because it threads things together. How intrinsic motivation creates happiness and the motivation to continue despite setbacks. So these are my six videos each with important and enlightening messages that should give people working in the field of careers guidance food for thought. If you can recommend any more Ted Talks please comment and share. Thanks for reading.